It was a warm, sunny mid-June day in Seattle, Washington. Residents were out in force, walking, running, cycling along streets and swimming and sailing on Lake Washington. New business buildings were rising everywhere, it is a bustling new city. Its airport is 9th in the country with much shipping and passengers. Dana, Bob and Craig (DBC) had flown in to go back to school, “Crow School” specifically. 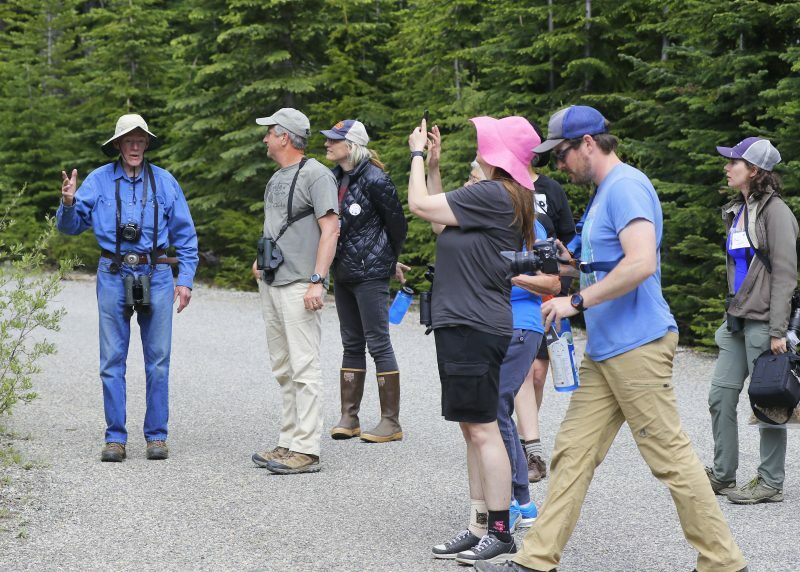 The three-day workshop, eligible for college credits, called “In the Company of Corvids” was held at the North Cascades Institute, high in the mountains. The Institute is a learning center to inspire and empower environmental stewardship through educational experiences in nature, it certainly did that. 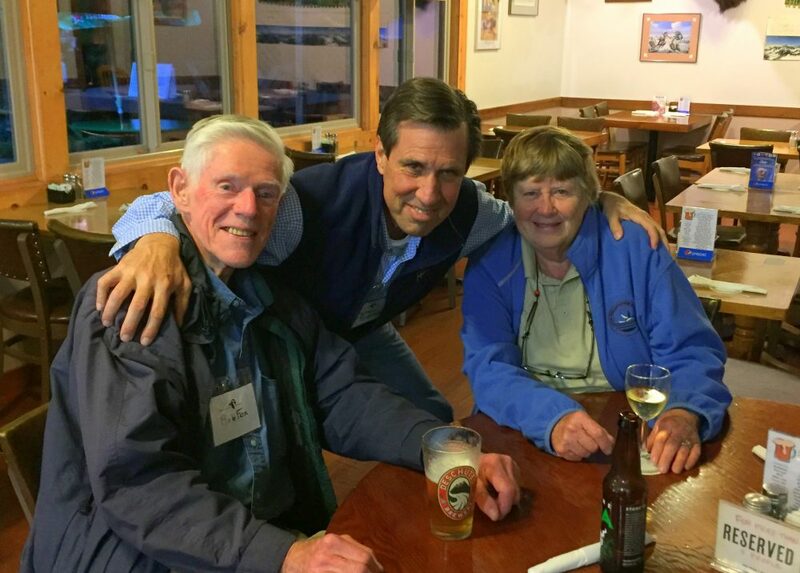 DBC left Seattle early for the three-hour drive, stopping only at the Buffalo Inn Hotel, a quiet place in Marblemount an hour away, where they had booked rooms for their stay. The trip up was along raging streams and through huge forests of spruce, hemlock, etc. trees, some 500 years old and 150 feet high. 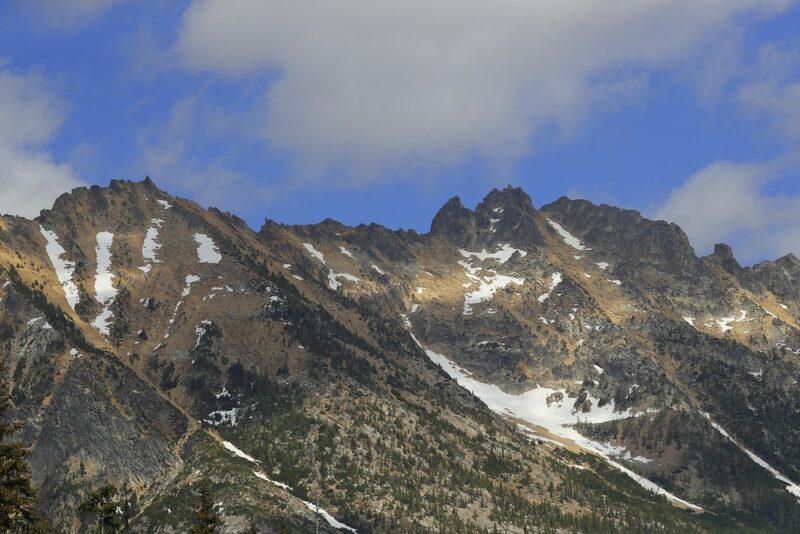 The Institute overlooked Lake Diablo nestled in rugged peaks, most with patches of snow on them, beautiful. The Institute had 10 large, comfortable buildings with lecture-halls, classrooms and dining facilities. The course was limited to about 20 people. 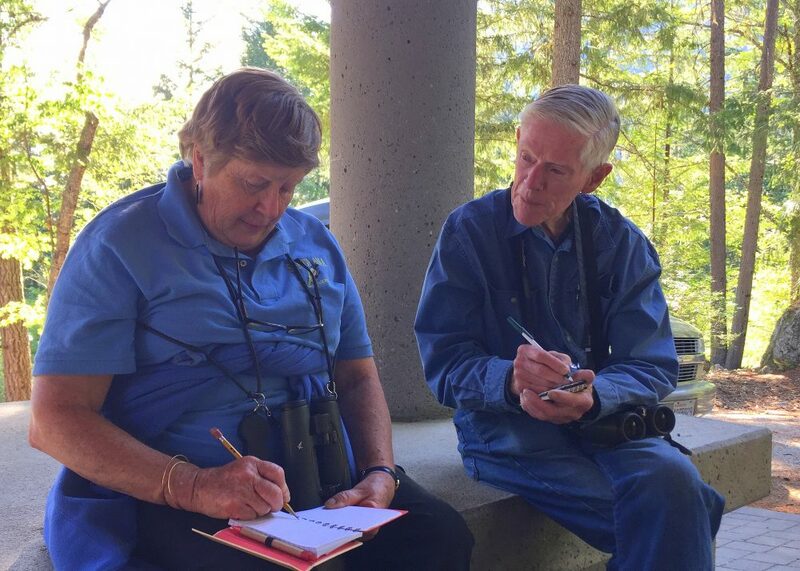 Participants were mostly from a dozen western states and of all ages; they had a general knowledge of birds, varied backgrounds and were very friendly. 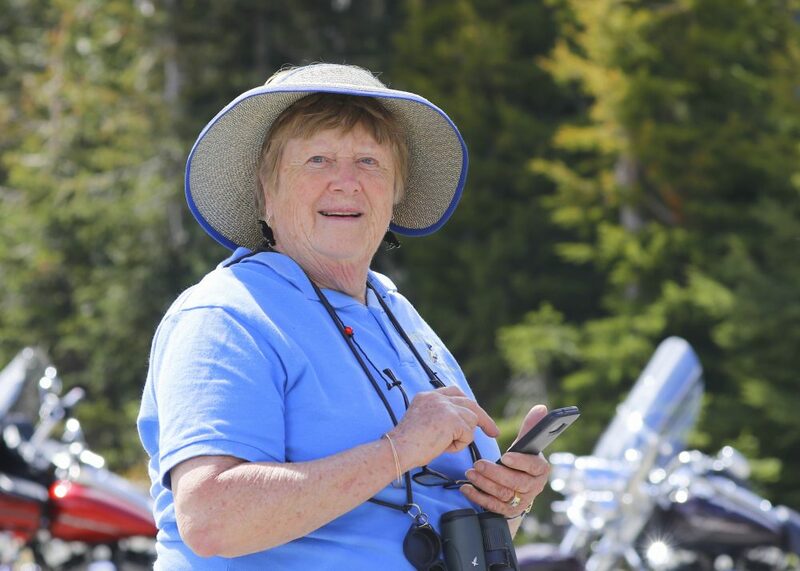 The program, in general, included illustrated lectures, discussions, hands-on work with specimens all in the classroom, and daily field trips in the mountains and open countryside to the east to observe corvids and especially their behaviors. 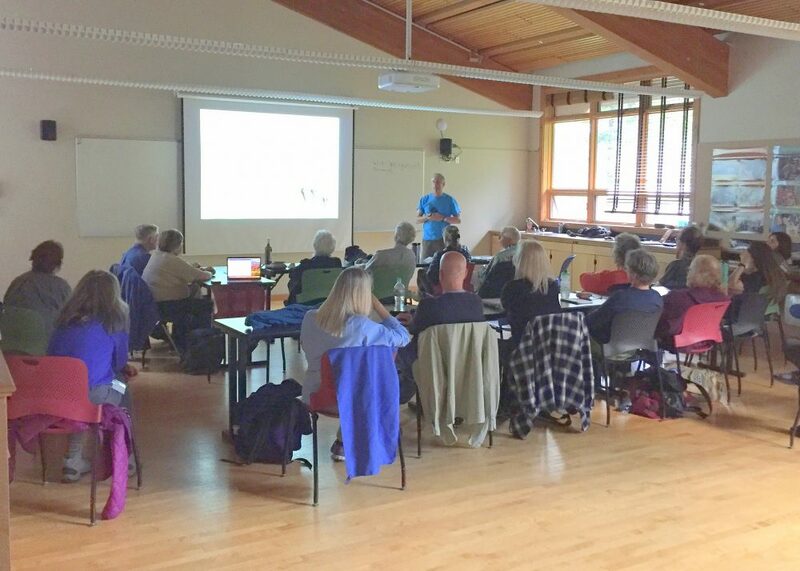 John Marzluff, and Kaeli Swift , the co-instructors, shared fascinating presentations of these curious birds and their relationship to people in the “cultural co-evolution” that corvids and humans have long shared. The workshop was more than seeing birds but about discovering their behavior and thoughts. Here are a few things they (DBC) learned. Corvids is the name of a family of birds that includes crows, ravens, jays, nutcrackers and magpies. Those species in the New World came from ancestors in Asia crossing on the land bridge between Siberia and Alaska during ice ages when sea levels were lower. Corvids and a few large parrots are “smart” – they have brains huge for their body size that work like ours; they can think, plan and reconsider their actions. They remember, speak words, communicate between themselves, have feelings of anger, sorrow, can figure things out. They can store food in summer and find it in winter, even under a foot of snow. They can communicate to others of a bad experience they saw, and those not viewing that event will remember it for 12-15 years. When a crow dies and falls to the ground others will join the victim standing around him in a circle for a long time. The instructors told these and many other stories and went further to say how the brains of crows and humans work in a similar fashion to do these things. On one field trip the instructors showed where a raven had torn rubber from car windshield-wipers and building window edges, the group had to figure out why. On another trip the leaders showed how they capture and band crows, no small feat for crows are smart, quick and big, and remember. The instructor, John Marzluff, to course participants, was a quiet-spoken, friendly person. He was approaching mid-age but was of a strong build, tanned, had slightly gray hair and wore “T” shirts, sweatshirts, and outdoor clothes. He looked and was athletic, walked and climbed easily, but of most importance was always talking and listening to participants, quickly responding and promptly answering e-mails even after the course ended. 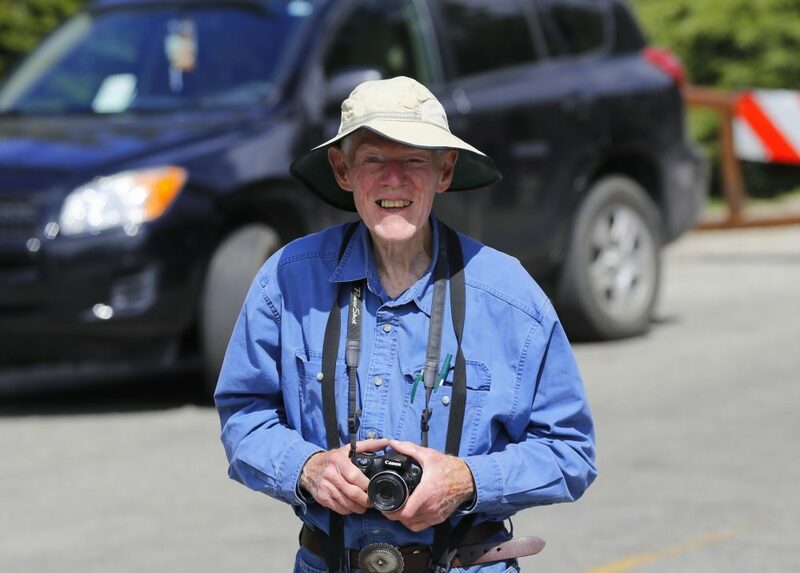 As a professional, he earned a Ph.D. degree, teaches as a Professor of Wildlife Science at the University of Washington, authored four books and over one hundred professional articles on bird behavior and received numerous awards. He is considered the top person in his field certainly in this country and probably the world. There is so much more to say about John, but that will be another story.